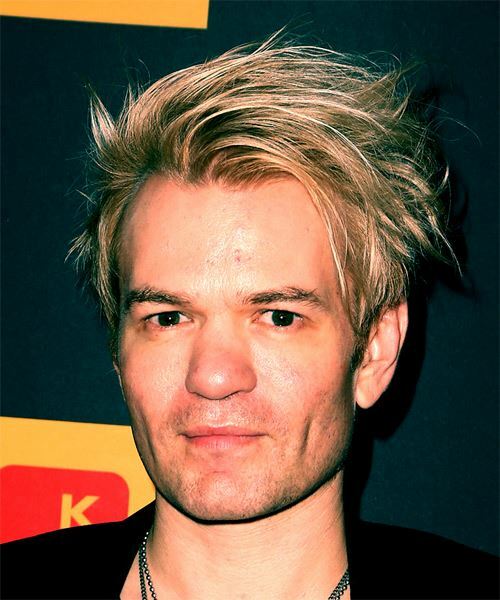 If this hairstyle doesn't scream cool I don't know what does! 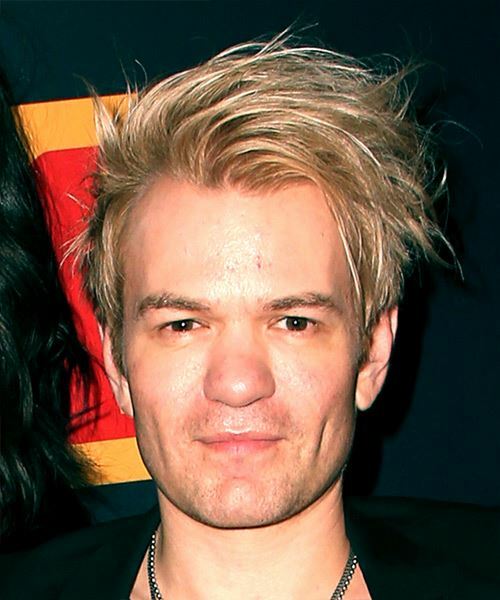 Deryck is making this hairstyle look so easy and yet the slight spikes at the tip of his hair pack a punch. The length at the crown of his head is longer than the sides which gives this hairstyle some depth and volume. A simple yet effective step to this hairstyle is the side-swept bangs. It gives this look some life and transforms the style so nicely. The highlights top this look off. You are going to need to touch up your highlights every 6 weeks or so to keep them looking fresh and new. This hairstyle will not take you long in the morning to do. You just need a bit of product to keep the hair pieces in place. This casual look can be transformed into a formal look by geling your hair back and combing it to create a formal and elegant look.